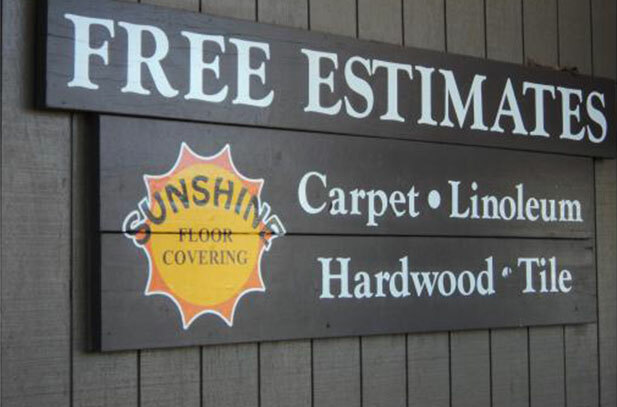 Sunshine Floor Covering in Pinole offers FREE Estimates on all of your floor covering needs. Sunshine Floor Covering has been serving the Pinole and surrounding areas for over 30 years. Visit our showroom and browse through Carpets, Vinyl, Hardwood, Laminates, Ceramic & Porcelain tile as well as Luxury Vinyl Title & Commerical products. We have been a part of the Pinole community for over 25 years, active with Pinole Hercules Little League & Pinole Valley High School. You can find Dwayne during football season at the b-b-q cooking during the home games or coaching the Pinole Spartan Varsity girls’ softball team. Sunshine Floor Covering where you will always be greeted with a smile!